We woke up to a morning of pouring rain, water pounding on the skylights and against the window panes. The thunder rumbled in the background as we scampered across the driveway. Today we wore raincoats to walk Olive, our dog. After the rain let up we saw a rainbow and then about 10 minutes later we saw another one, a double rainbow. According to Accu-weather.com "a ray of sunlight passes through a raindrop, reflecting off the back of the drop at varying angles. Along with this reflection is refraction of light that causes a spectrum of colors. Certain angles and bending of light betterr for refraction to occur, thus appearing a double rainbow". The same day I made these gyoza dumplings two ways. For lunch we had the mushroom and arugula mixture. Later for dinner we had the crab, cream cheese and scallion mix. The dipping sauce was the same for both combinations and was very easy to put together. I can see many more variations of these in the near future. I found mine in the vegetable section where the herbs and mushrooms were. They were labeled as Chinese style gyoza potstickers. In a large heavy skillet/pot on medium heat add coconut oil, when hot add mushrooms, and salt, and allow them to sweat, after they have released there water add arugula and cook down, then add garlic. Cook for one minute stirring offten. Remove from heat add scallions, soy sauce, soy flour add water; mix well. Fill a small bowl with water, with your dumpling wrapper add mixture in the middle, not too much you want it to close. Moisten sides with water and fold in half. Gently press sides together to stick. To pan fry: heat 1 tablespoon coconut oil in a heavy pot, add gyoza side by side, upright to fill pan. Cook over medium heat until bottoms are golden brown. Pour in 1/3 cup water and immediately cover pan to steam packets. Lower flame and cook until all water has evaporated. Serve while still hot with dipping sauce. Mix crab, cream cheese and scallions together in a medium sized bowl, taste and season if necessary with salt and pepper. For the dipping sauce in a medium bowl add all the ingredients together and mix well. Enjoy! "Double rainbow, all the way across the sky!" So neat! These dumplings sound delicious. I can't decide which version I would like better. Guess I'll be making both! Thanks Natalie, you are so sweet! I love gyoza! I make a different version involving pork and ginger and they ALWAYS go quick whenever I serve them. Might have to try a different variety, ie yours... for a change! Thanks Kylee, There are endless combinations to these little beauties! Totally love these two takes on dumplings. I love dumplings every which way and I would walk through pouring rain, just to get them. But my dog sure wouldn't. She hates getting her feet wet! Hi Abbe, my dog is a lab and she does not like to be out in the rain, go figure. Thanks for stopping by. These dumplings look delicious! I have never made these before. Where do you get the dumpling wrappers? I would love to try them sometime. How wonderful to see a double rainbow and that you got rain. It tried to sprinkle here today, but we didn't end up getting anything. At least it was a little cooler, only 100! Hi Shari, I bought them in the veggie section at a Fred Meyer (in Oregon), I bet Frys would have them in (Phoenix), they had 3 different types of wrappers, 1 for spring rolls, 1 for gyoza, and the other I can't remember. Love it when we get weather in Phoenix, figures the minute I leave. Hi Phi, there are very easy, hardest for me was finding the wrappers. Thanks Ela, dipping them in sauce is half the fun. Thanks Tandy! it was pretty amazing! Thanks Helen, happy week-end to you! As amazing as .. wooahhhhh double rainbow! Just heard about a meme a couple of months ago, very interesting! Beautiful gyoza! That stuffing is so tasty. Thank you! Happy week-end to you! Homemade dumplings are on my bucket list, and I love both of your fillings! Thanks Joanne, they were on mine too! I've never made gyoza dumplings, Cheri, but those are some tasty ingredient combinations that I'd love to try. I love mushrooms and I love crab so it looks like I'll be making both as well. Love it! Thanks Robyn, it was really pretty easy, once you get the hang of it. Crab and cream cheese are my double whammy! Isn't there some luck belief when seeing a double rainbow?! Not sure about the luck with the rainbow but it sounds good to me. Thanks Julie! The mushroom and arugula mixture sounds so yummy, great flavors! Have a great weekend Cheri! Thanks Mike, Happy week-end to you too! 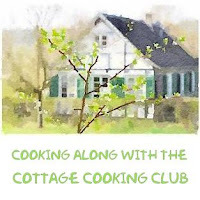 Thanks for the tip about Susanna Foo's dipping sauce, will have to try David, love balsamic vinegar. 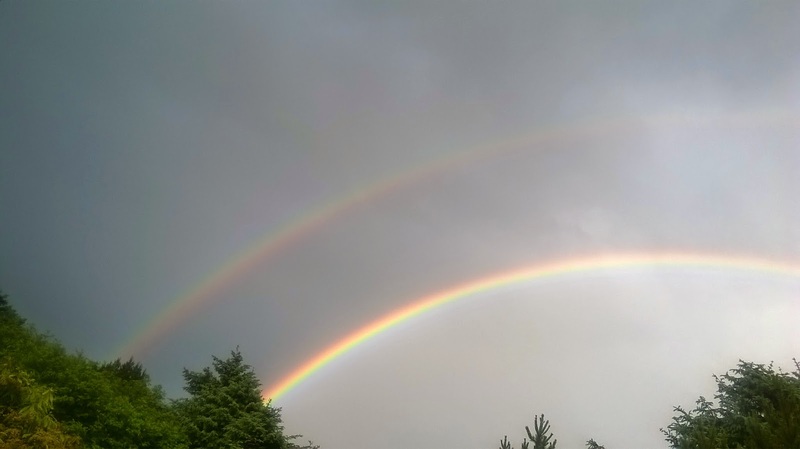 Cheri - the double rainbow is beautiful! And those dumplings, oh my they look good. I have never made them myself but you may have inspired me to try : ) Happy weekend! Hi Mindy, this was my first time making these and once I got the hang of it, the rest was simple. The dumplings look amazing and both fillings sound delicious. Thanks, I had fun making these. Thanks for stopping by. I'm not sure why either, I wish I could fix whatever the problem is, but I'm not very techy. Gorgeous! It's been awhile since I saw a rainbow of any kind. The dumplings look absolutely delicious! I love both fillings. You are so good at making them - they look perfect. 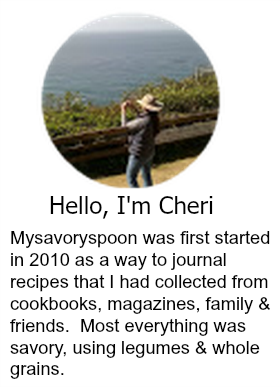 Lovely recipe Cheri. I enjoy eating Gyozas and have been meaning to try making them at home. Will get hold of the wrappers and start experimenting. Your versions look amazing and very professional looking. These look really delicious, Cheri! Can't decide if I'm going to try the crab or mushroom ones first. Yum!